[PDF] Felon Fitness: How to Get a Hard Body Without Doing Hard Time | Free eBooks Download - EBOOKEE! Description: Forget the fancy equipment, friendly trainers, and cushy gym. This is a workout courtesy of the Department of Corrections. With jacked inmates as your motivation, certified trainer Teufel and counselor Kroger have locked down an exercise regimen that's guaranteed to show real results. If you're a workout lifer, this book provides a new way to approach your routine, working in cherry pickers and butterflies to extend your range of motion and informing you which less effective exercises to cease and desist. If you're fresh meat looking to tone up, the squats, push-ups, and burpies will get you yard-ready in less than a three-month stint. This program's legit. Each exercise comes straight from the cellblock and the routines are those of real inmates. It's the workout of a lifetimeâ€“from guys serving twenty-five to life. 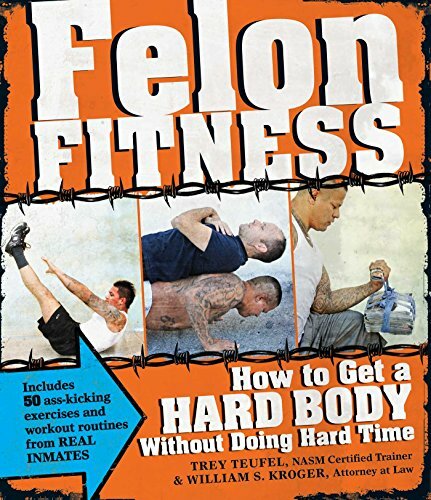 No comments for "[PDF] Felon Fitness: How to Get a Hard Body Without Doing Hard Time".